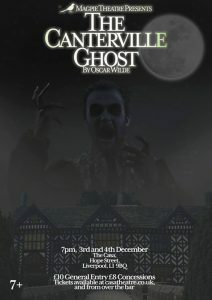 One of Oscar Wilde’s most loved stories adapted for stage, The Canterville Ghost tells the story of a modern American family moving to an old English aristocratic mansion, which is haunted by the tortured spirit of Sir Simon de Canterville. The ghost dates back to the 1500s, knew Shakespeare personally and was even a favourite of Elizabeth I, but after murdering his wife he was doomed to wander the earth for all of eternity. When the American family move into Canterville Manor, Sir Simon embarks on an ill fated attempt to haunt them, but finds their modern sensibilities immune to his tried and tested methods of terror. 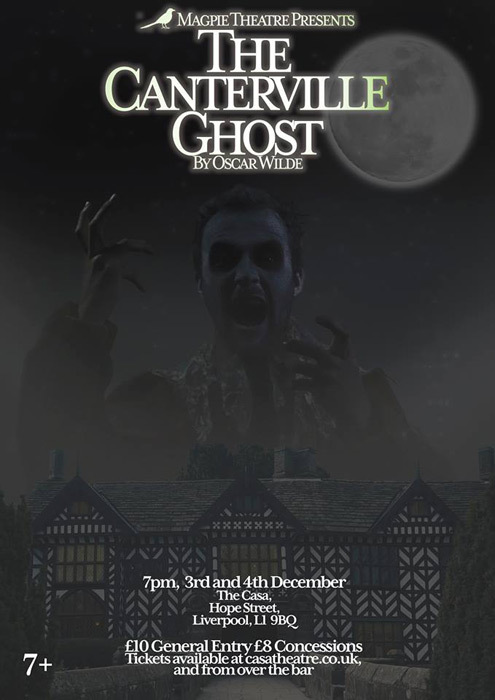 The Canterville Ghost is part slapstick comedy, part historical/modernity clash and part poignant redemption story – it’s suitable for all the family.